Before the Fall Books, 9780983713760, 284pp. Catherine O'Brien, the irreverent detective, is back in An Intimate Murder. When Jonathan and Susan Luther are murder in their home, St. Paul homicide detective Catherine O'Brien and her partner Louise discover this isn't the first time the Luther family has been visited by tragedy. Is it a case of bad family luck or is there something more? 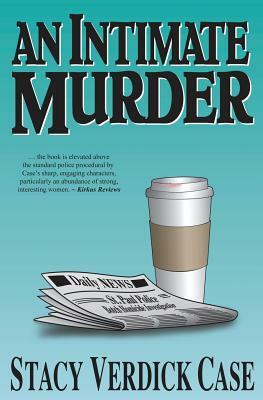 Advance Praise for An Intimate Murder: Kirkus Reviews: ... the book is elevated above the standard police procedural by Case's sharp, engaging characters, particularly an abundance of strong, interesting women. ... Spending time in Catherine's world is plenty of fun, and hopefully Case has more novels in store. Midwest Book Review: ... a spicy, fast-paced, first-person detective saga that produces winning characters and a satisfyingly-compelling mystery that will keep readers guessing to the end. - D. Donovan, eBook Reviewer, MBR.